For a service business, long-term projects may seem the most desirable and beneficial. Clients with a persistent strategy of development can guarantee that there will be work to do for several years. 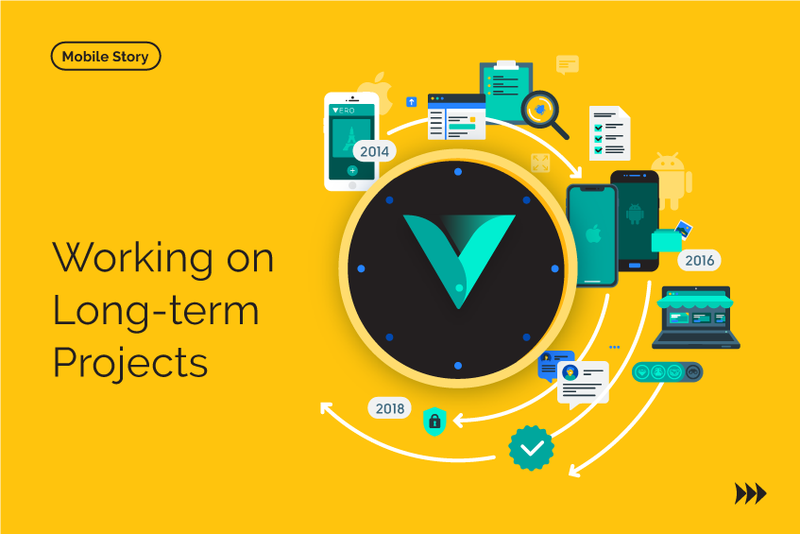 One of the lasting projects we do at Rozdoum is quality assurance for a mobile social network — Vero. We would like to share our insights about the difficulties and discoveries of working on the same project for years. Our QA team started working on Vero in 2014, along with the development of the user registration for the application. 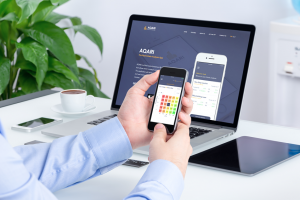 The project started with a version for the iOS platform and with one engineer appointed by us. 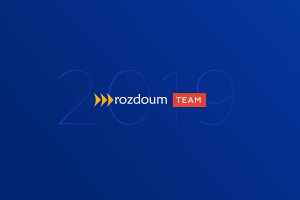 The team simultaneously expanded with the growth of the project, and now several of Rozdoum’s experts are employed full-time. For this project, the team steered away from the distribution of duties approach between defined testers. And instead, all engineers are together responsible for monitoring and participating in the project’s activities on the whole. With such a model, every QA engineer has eyes and ears on the project, thus providing more flexibility within their workflow. Any tester can join the process at any stage and contribute to the project. This approach enhances personal commitment as well as accountability. Our quality assurance procedure for Vero is usually standard. Experts analyze the available documentation, clarify the requirements (checking for consistency, completeness, and any obscurities). Then engineers proceed with creating checklists, exploratory testing, small bug fixes, as well as installing and updating necessary fixes. And surely, we report and give recommendations on the testing results. After the version is released, we process support requests, analyze post-release issues, and prepare a patch release if there is a need for it. All the communication between our team and the distributed developers is conducted via instant messenger Slack. No video calls, meetings, emails, and so on. At all. 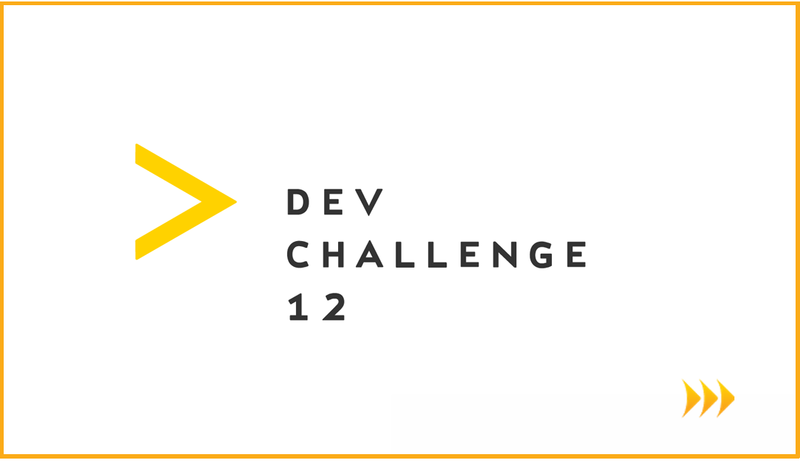 The software development team uses some tools to enhance collaboration opportunities, like GitHub, Jira, etc. Our experts mentioned that communication has been pleasant and enjoyable. Extreme politeness, attentiveness, and a welcoming atmosphere are the unwritten rules for chatting. If a question is typed into a public channel, some of the developers will answer within 5 minutes. Collaboration is based on trust, enthusiasm, and involvement, which influences the job greatly and impacts all participants. The usual barrier to working with distributed teams, like on this project, is the significant difference in time zones. However, it is worth mentioning that it hasn’t negatively influenced the project, because there is always somebody ready to assist online. Designers are active participants in the quality assurance process. They work hard to keep the UI and UX user-friendly. The mobile app is presented in two versions for iOS & Android and is localized for 13+ languages. Our engineers are savvy to all the new features in the platforms and know the latest trends. It is a challenging task to test every release on the abundance of different devices each time a new release is planned. The work involved in this endeavor is indeed hard and scrupulous. Since Vero is in production already, with more than one billion registered users, testers understand the need to be meticulous, accurate, and delicate in quality assurance activities. And they are. Among the discoveries, our QA engineers have a very high level of interest in the project. In Vero, all of the developers love what they do, and do what they believe in. As proof of this, our team has personal Vero accounts, and one of them even reached 1,500 followers. Vero is a human-centered application, and so is the whole international team who develops it. Team members interact in a helpful and friendly manner, are very enthusiastic, believe in their approach to the project, are highly attentive, deeply involved, and are greatly inspired by the work they do. Their work is not just another job, but a sincere interest. We, at Rozdoum, are very proud to contribute to a revolutionary product and will continue our collaboration with passion, respect, and love.